This seems a bit too over the top with the numbers, especially for late game. I’d say reduce it to maybe about 8-10% with 0.2-0.4% per level. That seems a tad bit fairer. Would it really be that OP considering that you would have to give up a good item to equip it? On my carry I usually have blade of darkness(i think it’s called that), blood demon blade, excalibur, seelenreiser and MS. Exchanging any of them would drop the total dmg amount pretty much. Will be fun to experiment with. Thank you so much Andy this is what i really wanted!! Hey, glad you like the item!! I think GT1 and Mjoelnir are currently some kind of hybrids. They are okay on your carry but I think they can shine on some support towers. Well, except GT1, the set buff with the additional item slot is pretty epic for carry too. Agreed, GT-1 doesn’t have a tower it doesn’t work well with, it’s awesome. Mjoelnir needs a little work though. I know I couldn’t get it to slow multiple opponents, or stun multiple opponents back in the day, which would’ve been great. 100dmg = 80 normal damage + 20 damage dealt over 4 seconds. Andy mentioned the armor reduction which would basicaly make it that your tower damage is reduced twice by armor reduction. 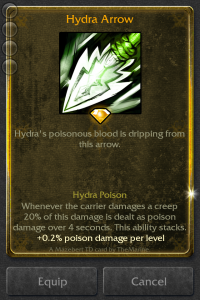 Not only would you deal less damage with this item, your damage 20+% of that damage is over time resulting in your tower attacking a mob more than it should. 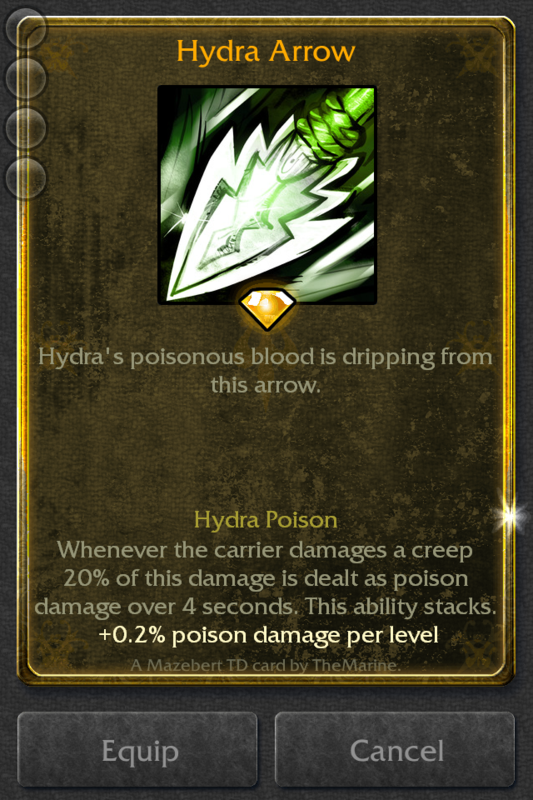 Whenever the carrier damages a creep, 20% additonal damage is dealt as poison damage over 4 seconds. This ability stacks. Andy can i get some information about the armor? and I want to make sure. Does X increase 1 per 1 round? and same in the bonus round too? This is still the calculation. And you’re right about the armor increase!